Your body's nutritional requirements increase with physical exertion. Run, Cycle, Swim or just Walk, time is precious, we all want maximum results from every activity, give yourself the right fuel and get the right results. Fuel for your body to run effectively, you need to fill up your 'fuel tank' i.e. your muscles, with energy-rich nutrients. Refuel replenish your muscles when they're most receptive to being refuelled. Repair you need protein to repair the damage that's done to your muscle cells during intensive exercise. Recover feed your body anti-oxidants which assist in reducing recovery time, by helping your body combat free radical damage caused by exercise. Our specially formulated Powershakes, and their varying calories, ensure your body gets everything its needs at every stage of exercise. A great choice before your workout. Containing fruit, which contain carbohydrates that provide instant fuel. This is the ideal shake prior to the training. He is prepared with diluted fruit juice and is therefore a good fuel source. You feel refreshed and hydrated "and are completely ready to get started with this delicious mix of healthy, energy-dried fruits and nuts, along with the tingling juice. 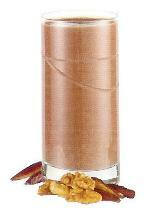 A fruit & nut chocolate bar in a shake! A delicious taste combination made up with soy milk which adds to the protein content. A perfect post-exercise treat! Just a Taster of the many variations possible to keep your intake interesting and your stamina and lean fat level at their peak. The ultimate choice for the serious athlete! Fill the tank containing nutritious calories after a heavy workout. 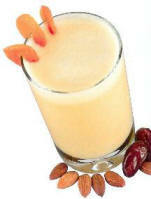 These delicious shake with a tropical aroma full of energy. The high protein helps to reduce damage to the muscle, caused through intense training and helps you to recover quicker.